Joseph Parker's team have been contacted about a potential fight with Derek Chisora and hope to open talks this week about a return to Britain. The New Zealander ended the year with a knockout win over Alexander Flores in Christchurch, but could be heading back to the UK for a heavyweight battle with Chisora. Promoter David Higgins confirmed Parker would be interested in fighting the Londoner as the 27-year-old targets more big-name fights after losing his WBO belt to Anthony Joshua in March last year. "Like most top heavyweights, Joseph will be willing to fight anyone," Higgins told Sky Sports. "I see Eddie Hearn mentioning Chisora publicly. "If the deal was right, then sure enough, Joseph certainly will not back away from anyone. It will be interesting to see how that pans out. "There's been one email from Eddie. No detailed discussion whatsoever. "As I say, Joseph would be willing to step in with anyone, provided it's the right terms. "I'm hoping to speak to Eddie this week." 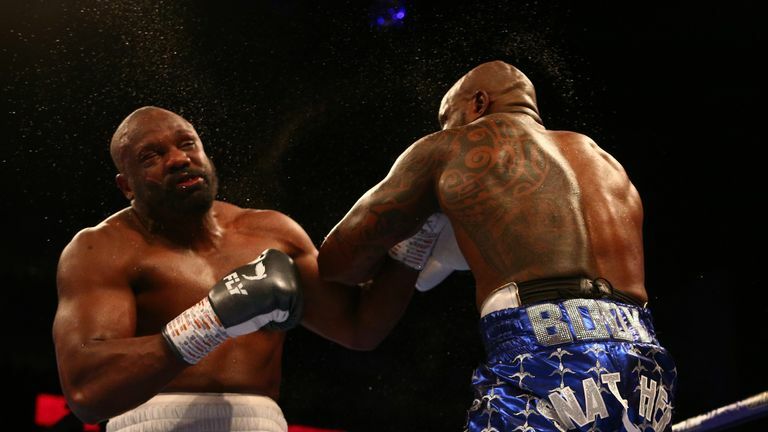 Both fighters suffered defeats to Dillian Whyte last year, with Parker losing on points in the summer, while Chisora was stopped in the 11th round of their December rematch. But Higgins is confident Parker would avoid another setback, having maintained his fitness during the festive season. "Yes, he had a very good off-season, he's kept in shape," Higgins said. "[It is] Probably the best I've seen him, so he's ready to get in camp as soon as the right deal is put in place."